An artist's rendering shows the design for the planned athletics and recreation center. The new center will be 15,000 square feet larger than the existing one, expanding it to 94,000 square feet. More than half of the rebuilt facility will be new construction, and other parts of the structure will be updated and reconfigured to enhance the building’s usability. Two principal gifts of $10 million each kick off the major fundraising campaign to raise a minimum of $29 million that will offset a total project cost estimated at $55 million. Preliminary designs for the building by the architectural firm SCB include expansive use of glass throughout, with multiple outdoor patios. Plans include an entrance for varsity athletics. 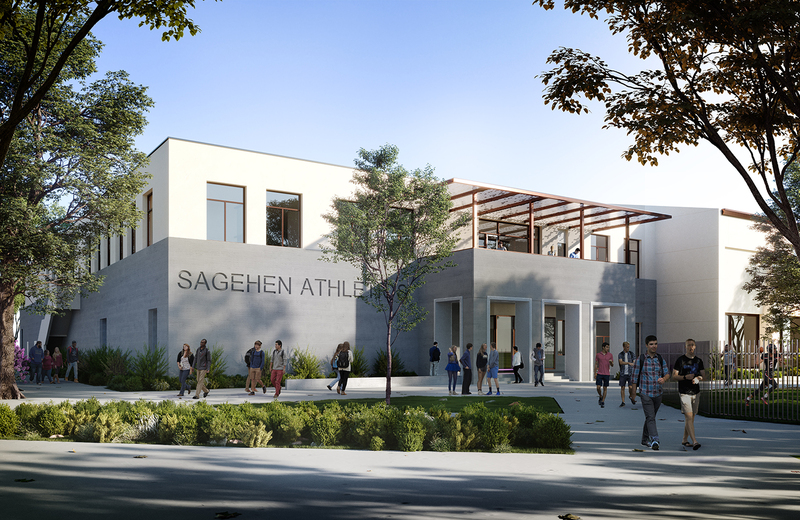 “We want the building to be a transparent, very visual commitment to health and wellness,” says Lesley Irvine, athletic director and chair of physical education. The Rains Center has been home to Pomona-Pitzer’s athletic programs and served as the campus recreation and fitness center since it was built in 1989, but more people than ever are using it. Views to the outdoors are a feature of the facility. “We’ve outgrown the building,” Irvine says. With 21 varsity sports, Pomona-Pitzer fields three more teams than it did when the Rains Center opened. The program has finished in the top 40 of the Division III Learfield Directors’ Cup each of the past three years, and won the SCIAC men’s all-sports trophy in 2017-2018 for the first time in program history. More spacious areas for cardio workouts and recreational fitness are planned. 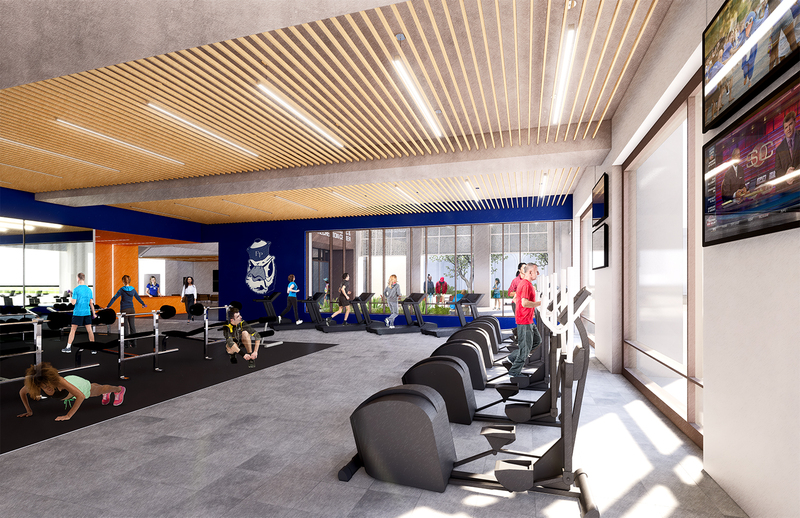 In addition to supporting 450 Pomona-Pitzer varsity athletes, the building’s expanded spaces will help serve more than 1,800 intramural athletes, 550 club athletes and student physical education classes, as well as fitness and recreation programming for students, faculty and staff. Though the design is in its early stages, plans call for a new and larger recreational fitness area, including additional space for cardio workouts. The studio space available for fitness classes would be doubled. New locker rooms will be the right size for teams. In addition to a general-use weight room, there would be a dedicated varsity weight room, and locker rooms would be “right-sized” to provide sufficient space for the groups that use them, with separate facilities for faculty and staff in addition to varsity teams. 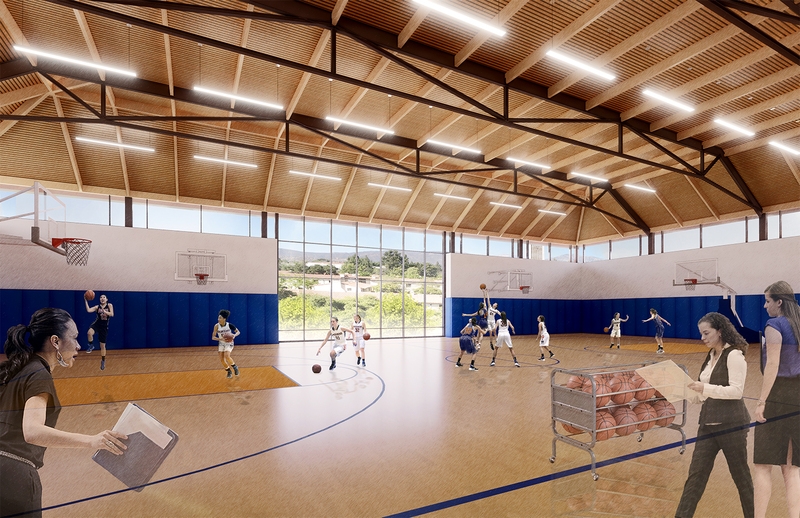 The men’s and women’s varsity basketball teams and women’s varsity volleyball team will continue to play in the facility, with Voelkel Gym remaining largely intact and a new two-court practice and recreational gym added above the fitness area. 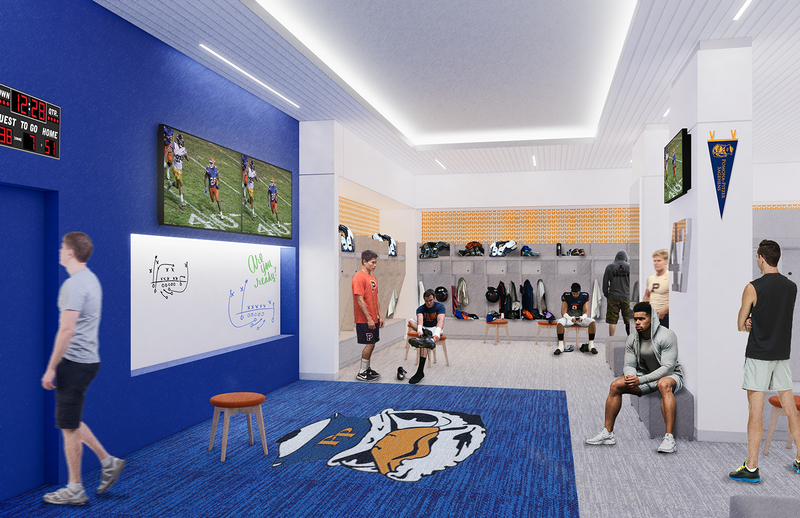 In addition, there are plans for athletic training and equipment storage areas, three new team meeting rooms and individual offices for coaches and administrative staff. The entrance is meant to draw students and spectators into the large and open lobby. 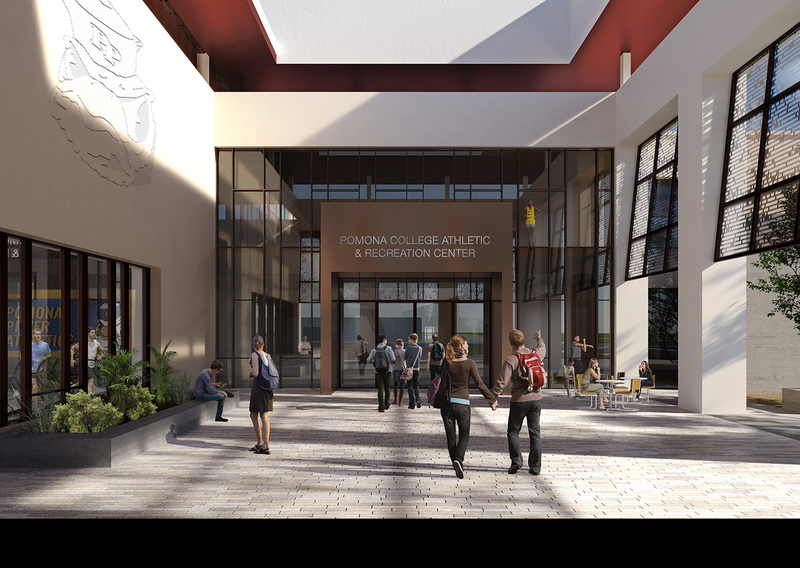 With its location at 220 E. 6th Street near the intersection of busy campus walkways, the new building will have a main entrance that provides a campus focal point, with an expansive arrival lobby and a more prominent display for the athletic Hall of Fame. “There’s a real opportunity to create a building in a central space that we’re really proud of,” says Irvine, who expects the center to help attract prospective students.